Getting to know some of the many careful and reflective people who write about religious art from outside academia has made me sensitive to the absence of personally engaged conversations about religion (as opposed to historiographic, philosophic, or sociological conversations) in academia. The excellent scholars of religion who are themselves religious, and value their scholarship principally as a way to enrich their religious experience, have shown me a different way of reading art history. To them, some texts in art history are indirect, in that they explore religious issues without identifying them as religious (133). Elkins appears to suggest that discussion around the perennial topic of iconoclasm will be hamstrung until this is somehow acknowledged within academia as well. And here is where Baylor's Natalie Carnes comes in. Taking issue with two recent books (Simpson's Under the Hammer and Latour's On the Modern Cult of the Factish Gods) Carnes offers a conceptual shift in what she calls a "Prelude to a Theology of Iconoclasm" (h/t Tanner Capps). Iconophilia need not be sanitized of iconoclasm to be iconophilia. 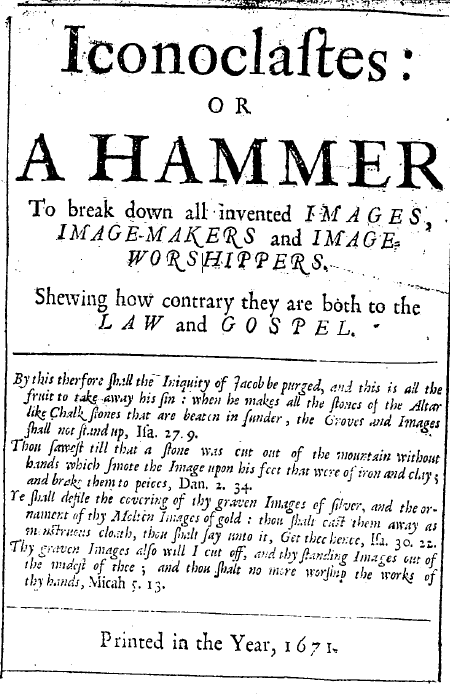 Indeed, iconophilia may even require iconoclasm, inasmuch as loving an image qua image may fail to take seriously the particular claim an image makes on the beholder. ...The iconophila in which there is no hidden heart of iconoclasm is an iconophilia without philos. It is iconapatheia. Carnes' point that iconoclasm and iconophilia coinhere has precedent. 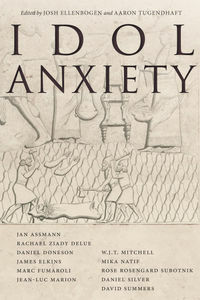 Koerner elsewhere suggested that "In Christian thinking, every semblance hides a dissemblance and every dissemblance, a semblance"; and David Freedberg likewise observed that "the love and fear of images, as the Byzantine arguments show so clearly, are indeed two sides of one coin" (405). But whereas Koerner and Freedberg observe this dynamic, Carnes offers the same insight in the context of a creative theological project - an "ecumenical theology of iconoclasm," which crosses into art history's forbidden territory, a world (foreclosed by Koerner) "beyond representation." Wagering on transcendence, Carnes avoids the very quality that Elkins finds so dissatisfying in art history, the ineffectual attempt "to speak about religion while remaining appropriately secular." In an age of adverstising - where so many images rely upon apathy (iconapatheia) but deserve active resistance (iconoclasm), does iconophilia less robust than the one proposed by Carnes stand a chance? Michael Sandel sounds the alarm, lamenting that corporate images are creeping onto once inviolate spaces - fire-hydrants, ballpark bases, and even human foreheads. Faced (or defaced) with this situation, the iconoclastic treatises of the Reformation, subsequently discarded by their confessional progeny for admittedly legitimate reasons, are ripe to be recovered - not as Christological statements (they're often wrong on that front), but as early versions of Adbusters. But recast in the wider, irreducibly iconophile framework of ecumenical Christianity, such broadsides can also offer the one thing that Adbusters never has: A solution.